The most efficient and flexible method for making half square triangles. One Star Single sheet plus two squares of fabric equals eight half-square triangles. 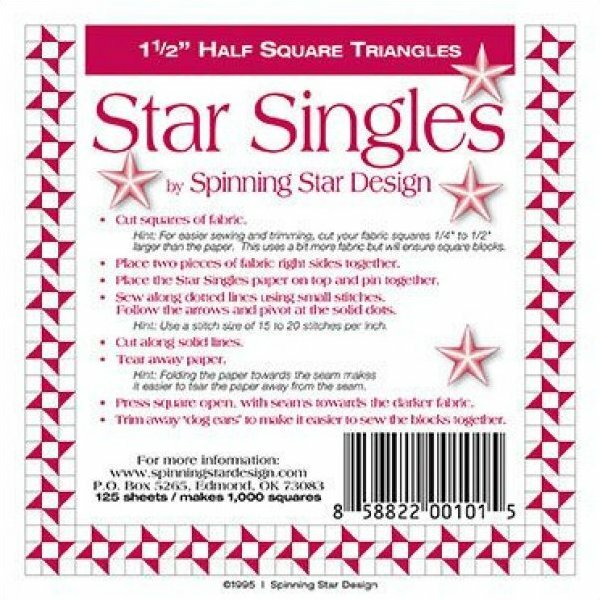 125 sheets in a package yields 1000 half-square triangles that finish 1 1/2" in your quilt.